A Telford gym will become the first in the town to offer all six of the popular Les Mills workout classes taking the fitness world by storm. 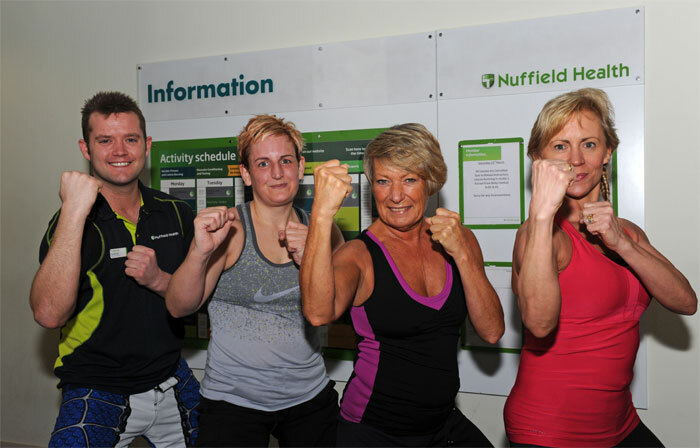 Nuffield Health at the Telford Forge Retail Park is launching the new programme for the next eight weeks, including an open week from April 8th to 14th. Les Mills began in New Zealand and has spread across the world. The fitness programme consists of classes, which are renewed every three months with new choreography, licensed music and instructor education. The Les Mills Workout comes to Nuffield Health in Telford. Just look at them! Miss Houlston said the gym already offers a few of the classes and they are so popular that they attract people from all over Shropshire. She said: “Now we will be offering all six of the classes and we expect them to fill up quickly. “During the open week April 8 – 14, people will be invited to try out some of the new sessions and see just how fun they are. “All the classes have chart-topping music and fun moves and, because they are frequently renewed, you never get bored, unlike with some exercise classes. “Exercising really doesn’t need to be about spending hours slogging away in the gym. Taking part in a class can be a real motivator and it helps you quickly make exercise a part of your routine.” Anybody who would like to attend the taster sessions needs to collect to a Les Mills guest pass prior to the class.